ROAD TOWN, Tortola, VI – Chairman of the Virgin Islands Festivals and Fairs Committee Mr Marvin ‘MB’ Blyden isn’t too concerned about the “few” fights that took place during the 2013 Virgin Islands Emancipation Festival celebrations, especially at the Ira Oliver Skelton Festiville in Road Town, since there were no reports of serious injuries. “There were three festivals, Road Town, East End, Carrot Bay and we not counting Virgin Gorda, there were no serious incidents. 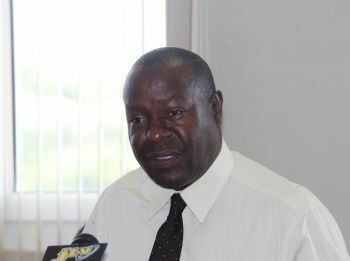 There were no stabbings or killings and all those things and we have to give kudos to show that we are moving in the right direction of celebrating our emancipation,” Mr Blyden told Virgin Islands News Online in an exclusive interview recently. “I have been to places like Trinidad, I have been to Dominica, I have been to St. Lucia and we are not different to the whole Caribbean, wherever you have a gathering of more than four/five hundred people you are going to have friction,” Mr Blyden stated in trying to justify his stance. He speculated that most of the fights that took place at the festival villages this year were among young men who would have had pre-existing “beefs” with each other. “It was no big thing to talk about, and I was quite comfortable with the percentage of fights that we had in all the three festivals,” said Mr Blyden. 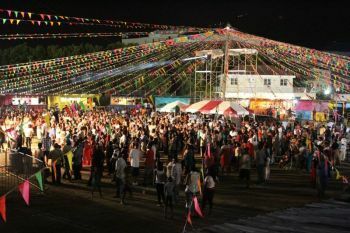 This year there were indeed a noticeable number of fights that took place during the Festival celebrations. On one night in particular there were reportedly some 14 fights at the Ira Oliver Skelton Festiville. There were reports also of gun plays but no shots were reportedly fired in any of the instances. A fist fight at one of the stage shows in Carrot Bay had also left a young man with a bloodied face. Chairman of the Virgin Islands Festival and Fairs Committee (VIF&FC) Mr Marvin ‘MB’ Blyden said it is time for the fooling around and playing of politics to stop as he called on the government of the day to make the Festival Grounds in Road Town the official property of the VIF&FC. “A thing that is bothering me, I would like to see the government make a decision that we would own the festival site. The festival site is not owned by the festival committee and every government afraid to touch it. They need to make a decision and make that festival site the official site for festival,” Mr Blyden expressed in an exclusive interview with Virgin Islands News Online. The VIF&FC Chairman said that he feels strongly that the decision of ownership of the site should he assigned to the festival committee as one day they can well wake up to the decision that the site is being transformed to accommodate something else permanently. “For example if we have a snap election and the government changes tomorrow anybody could say hey, we are going to use this site for recreation or something else. So they have to do what they have to do in order to move on,” he reasoned. Acknowledging that East End/Long Look has one of best coordinated festival sub-committees, Mr Blyden did, however, suggest an idea for its popular Rise and Shine Tramp to further improve. He explained that despite the challenge of the weather this year, East End/Long Look had the largest ever turnout of persons for the Rise and Shine Tramp but it did not get the effect that it should have had because it had only one band. “It was from the Bridge to almost Dennis Alphonso Gas Station. That is too big of a rise and shine to have one band. So I think we need to decide how we are going to handle that this year. We are going to have to put at least two bands,” said Mr Blyden. The VIF&FC Chairman also said he will be looking to see if the committee will also adopt the suggestion of changing the route for the EE/LL Rise and Shine as he has recommended. “When it comes to Carrot Bay, I would like to see that the last day of the celebrations come back to Road Town and we have all the prize giving at that one time,” said Mr Blyden. Mr Blyden also said the times have changed in the way festival is celebrated when compared to past years. “Years ago there was a lot of help with festival, now-a-days you have to pay for everything,” he said while highlighting some of the challenges the committee is forced to face. The spirit of volunteerism is another challenge that the committee said it is working around. The Committee Chairman said that most persons who volunteer their service refuse to leave records for the work, which puts the committee in a position of having to start over from scratch every year. “Let’s say we have the Chairman for the Calypso Committee, when he leaves he wants to leave with all his ground works and when the next Chairman comes in he doesn’t have anything to work with. But if we all try to build and continue to build on what we meet then it would make it a lot easier for the next person,” said Mr Blyden. It's all politics and a big stupid game that cost millions each year. The overall quality of the festival is poor at best. Virgin Gorda is poorly organized, Road Town is simple too expensive for no good reason, carrot bay continues to try and compete with road town at a cost of over $150,000.00 dollars plus. We are spending over 1.2 Million dollars and will spend over 2 Million dollars next year. Just like the last anniversary when we jumped up to 1 Million dollars and never went back down we will begin to spend 2 Million dollars next year and never go back down. 50% of the million goes to the 2 sound companies Sheep & Popeye. Spread the wealth around by forcing these two companies to reduce their price. Bring forward your best and brightest bvi, the politics are costing you more then you will be able to afford. Be fair to the committees and give them their money in a timely manner. Try thinking outside the box for a change. Makes no sense to have the village in town sitting idle for 5-6 days then crank back up for one day. The grand finally should be in town. the reality is nobody has the guts to tell east end and carrot bay cut back. One Parade! One Parade One Parade! in road town. I caution you NDP cowbirds to stop hitching your wagon to the NDP. The economy will keep contracting and jobs will soon become scarcer than hen's teeth. Mr Blyden you have insulted the Road Town Festival Committee and Carrot Bay Festival Committee in the worst way with your comment regarding "Acknowledging that East End/Long Look has one of best coordinated festival sub-committees"??? Are you serious??? The tramp is organized chaos! Book one band and not have the common sense after how many years to realize you need to book a second band for a tramp a mile long, creating the perfect storm for fights? The village is always poorly organized with the same artist from St. Vincent, the parade was the worst ever so what did they coordinate??? Myron had to beg VI Showtime to come play at the last min. You clueless. Your comment just lets us know how ignorant you are. And he and Skelly always together out having a good time. So where you come bout they don't get along? Stop chat crap! And what brother skelly have to do with this that you find to bring him in? You a jelous hater of them man! You should be shamed! Marvin, listen, slow down and don't get the bowels over this festival sagga. Trust me, next year you will be history as the Wickham's Cay money lady is put in place to head the big anniversary celeberations. Don't let the door hit you on your way out. head to the college, and closing off of festival in town. hope we could have these changes next year. To pay the people them them darn money. MB what piss are you talking about changing the ownership of the Festival Grounds. What is your problem. Old boy that thought is frort with problems, so just treat that as a bad dream. One thing about us B V Isladers, is that we like to give people orders to do this, and that, yet we cannot do anything for ourselves. what message is he sending? fighting is ok?